My artwork is featured at the Serious Coffee on the corner of Fort Street and Foul Bay Road for the month of August. Currently, the exhibit features a mixture of original paintings and giclees. Pieces from my most recent Barn series are up, as well as paintings from my Houses (Victoria and Calgary) collection. If you live in the Victoria area, be sure to visit the new Artevo Gallery, located at 616 Fort Street, in the Bay Centre downtown. 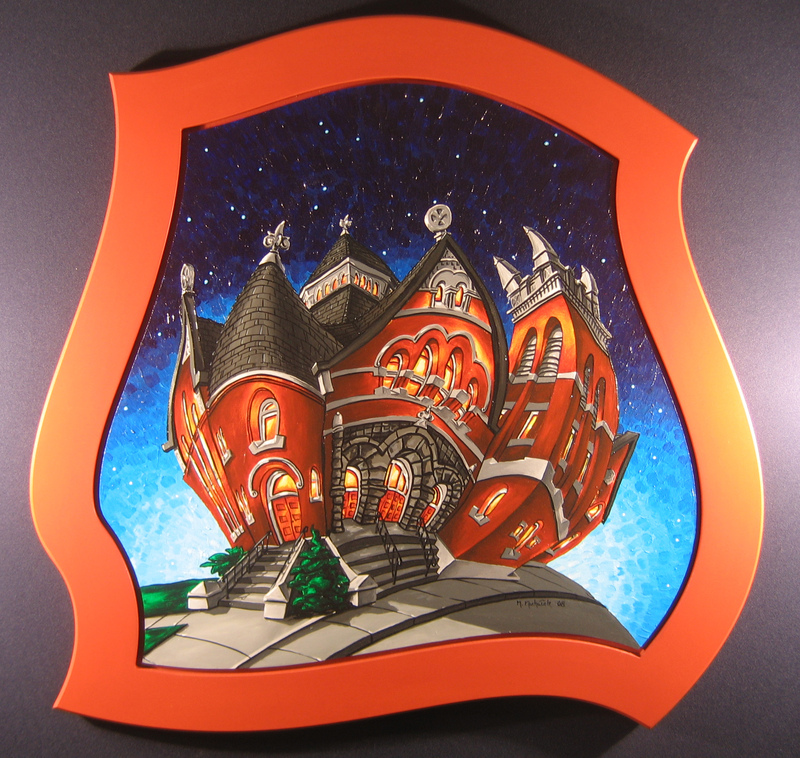 Two of my most recent original pieces, Centennial United Church and St. Andrew's Presbyterian Church (Night), are currently featured in the gallery. Both are paintings of historical churches in Victoria, B.C. 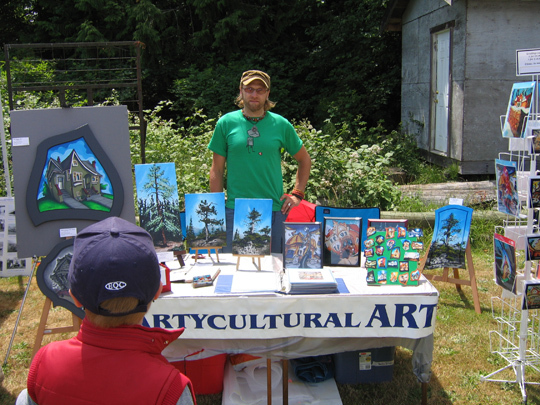 I will be participating in the Oak Bay Bowker Creek Brush-Up for the second year in a row on Sunday, August 10. This event, which is now in its 4th year, will take place in Oak Bay along Bowker Creek (beginning at the Hampshire Street entrance) from 11 am to 4:30 pm. Over thirty Oak Bay artists will be set up for the day, providing demonstrations and offering unique artwork and crafts for sale. Once again, I will be demonstrating my acrylic paintings on custom wood 'canvases' and frames. I will be stationed beside well-known guest artist, Ted Harrison, at Booth #3 just off of Hampshire Road. Please feel free to stop by and say hello! In addition to my artwork demonstration, I will also be offering a number of items for sale, such as framed prints, block mounts, greeting cards, and handmade magnets. At the present time, these items are not found on my website and they are not usually featured in the venues where I exhibit. 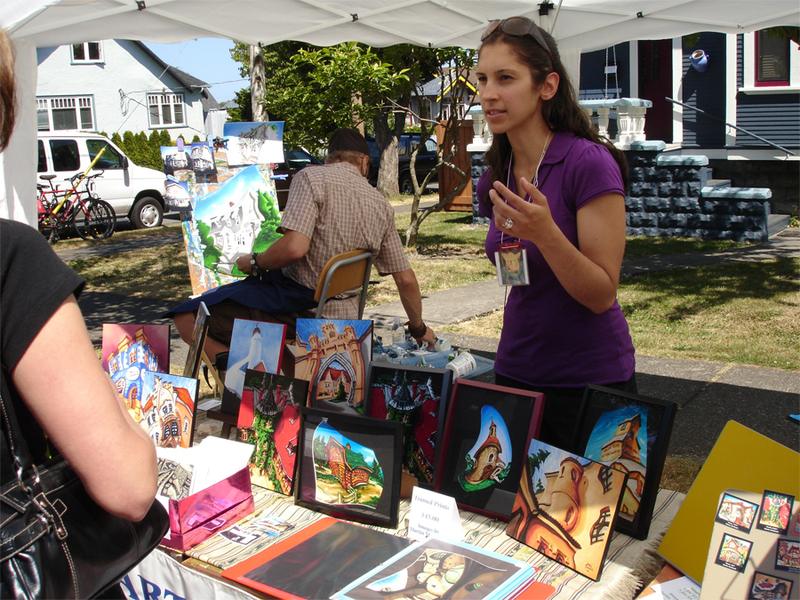 Thank you to everyone who stopped by my booth at the 21st Annual Moss Street Paint-In. It was a beautiful day, and it was wonderful to get a chance to speak with many of you! Thank you to Denise for e-mailing me this photo, as we were too busy on the day of the Paint-In to take our own photographs! 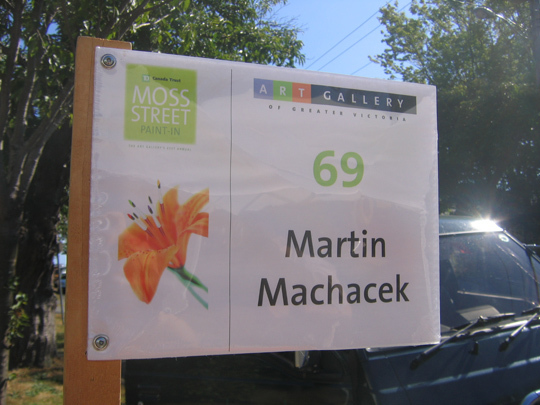 I look forward to participating in the Moss Street Paint-In event again next year! Thanks again to everyone for coming out!